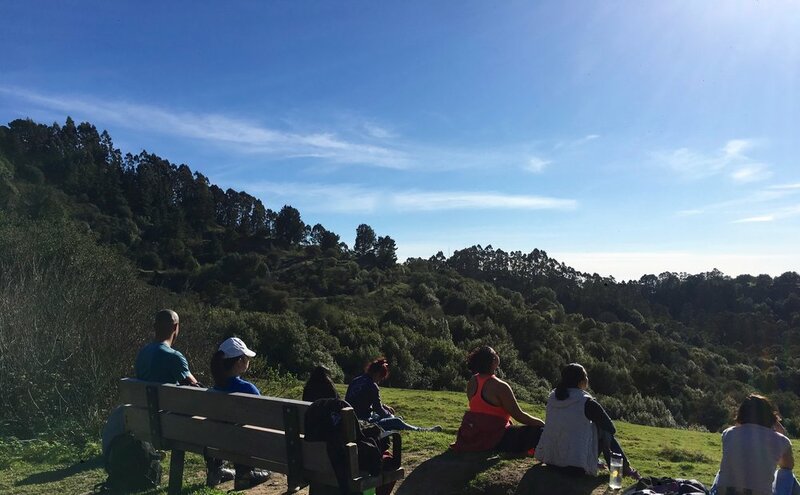 This guided Compassion Fatigue Healing Hike provides a safe space in nature for community-based service providers to process and release any attached or residual energies taken on from their practice so they can sustain their daily capacities. With unique and profound guidance from Transformational Coach Raynelle Rino, participants will be guided through the rituals and exercises aimed at providing opportunities to heal both physical and emotional pain with the permission of Mother Nature’s teachings. A series of guided meditative walks and talking circles will support an intentional process of reconnecting more deeply to nature, which in turn allows for a reconnection to true self. This hike will be located in a local park on a beginners level trail. All details for preparation and logistical information will be provided after registration. Light snacks will be provided. Please bring your own reusable water bottle. Closed-toed shoes with good tread are highly recommended but not required. Please keep in mind that healing hands may be placed on participants as well as oils and fragrances may be applied. Sound healing will also be utilized. Please let instructors know of any sensitivities to be aware of when registering. Friday, May 17th - pencil into your calendars!